A family owned and operated business in Torrington, CT, Albreada Refuse has been serving Litchfield County Connecticut residents and businesses since 1964 for their waste management, trash pickup, trash removal, junk removal and garbage removal needs. We truly appreciate your business and pride ourselves on our personalized service for trash pickup and garbage removal. If you are already one of our trash pickup or junk removal customers, thank you, and we hope this website answers any question you may have about our trash removal services, including junk removal and trash pickup. If you are a potential new waste management or garbage removal customer, we look forward to having you be part of our family. Albreada waste management provides curbside garbage pick-up and trash removal in Harwinton, Goshen, New Hartford, Winsted, Litchfield, Bantam, Norfolk and Torrington, Connecticut. We are proud of our work and people can tell by the way we look, our character, the quality of our service and our commitment to safety. We have respectful, professional drivers that safely obtain and transfer household trash, recyclables and garbage. Choosing Albreada waste management is the correct selection for your service supplier! We can help you apply a service program which will greatly suit your needs for waste management removal. Our commercial bins are from 2 to 50 yards. We also offer compactor choices. 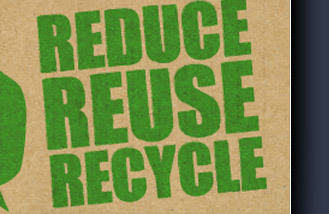 Our recycling program decreases expenses and more importantly preserves the environment. Albreada waste management is pleased to have Single Stream Recycling for every client in Torrington, Connecticut with curb recycling and refuse. This ingenious dividing technology lets clients place every recyclable in one recycling container, including paper, metal and plastic. With this technology, Albreada is able to recycle more substances than in the past, diminishing the strain on the environment and conserving important resources. This site's web design services provided by EZSolution Corp., Lancaster, PA.